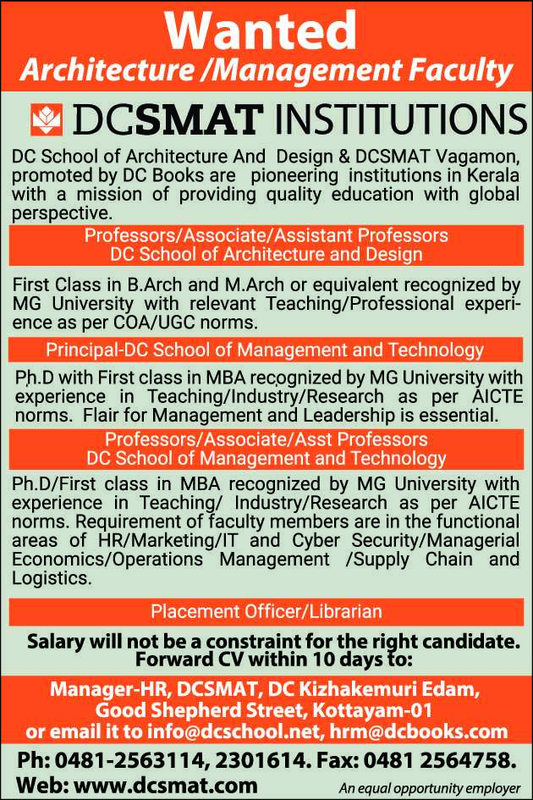 DCSMAT Institutions, Kottayam has advertised in the THE HINDU newspaper for recruitment of Teaching Faculty- Professor / Associate Professor / Assistant Professor / Principal Plus Non-Faculty jobs vacancies. Interested and eligible job aspirants are requested to apply within 10 days from 30th January 2019. Check out further more details below. 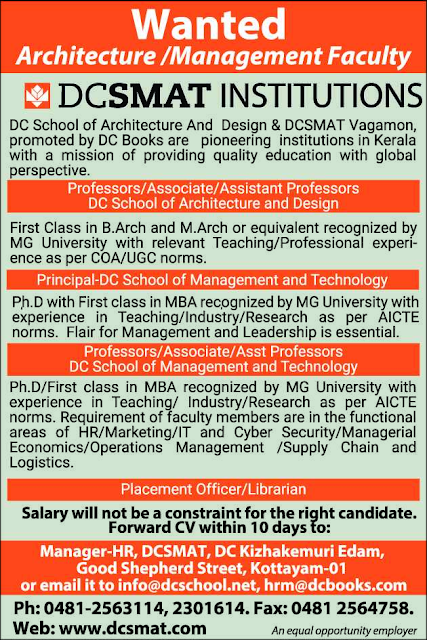 About College: DC School of Management and technology is a pioneer in the management education sector in Kerala. 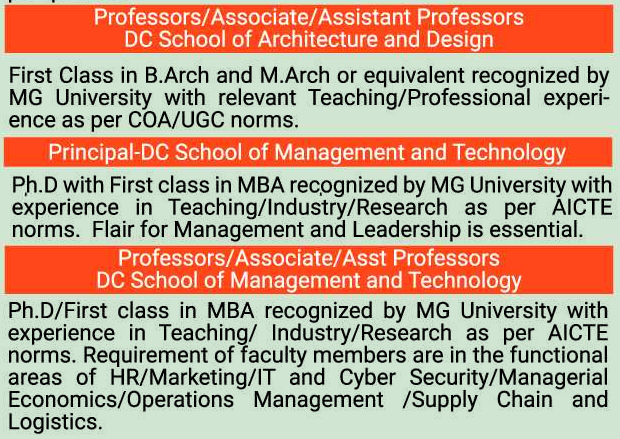 The institute of management has been pivotal to shaping and creating a benchmark for quality education practices. DCSMAT is promoted by DC Kizhekamuri Foundation and co-promoted by DC Books. How to Apply: Interested and eligible candidates are requested to send their detailed resume along with copies of certificates and PP size photos to the postal address or email address given below.